We are excited to announce that UIC Dental is changing our company name to Unique Dental Scheduling. As anyone that has started a dental practice or a company knows, naming a business is challenging. And changing names is even harder. However, in this case, we know it is time and are excited for the future of Unique Dental Scheduling. The “UIC” of UIC Dental stands for Unique Integrated Communications which has meaning obvious to us internally. However, to the dental community, it is likely a confusing acronym. Not to mention how easy it is to transpose UIC with UCI or to confuse with the University of Illinois @ Chicago Dental School with which we have no affiliation other than the shared acronym. Unique Dental Scheduling better reflects what we do – schedule your dental patients when your office is unavailable – and will be simpler for your team. You can refer to us as Unique, Unique Dental, Unique Dental Scheduling, Unique Scheduling, or if you truly love acronyms – UDS. We remain committed to providing a high quality service to our clients with the change to Unique Dental Scheduling. The look of our reports are refreshed and a new logo has debuted, but the core of our service remains unchanged. We look forward to serving both our current customers as well as new practices in the future joining our team in the future. With this name change, we are also changing our web and email domains in the coming weeks to dentalscheduling.com. For our current clients, the good news remains that any @dentalscheduling.com emails will remain active and our phone numbers will remain the same. It remains as easy as always to connect with our team. We are excited for the evolution of Unique Dental Scheduling – formerly UIC Dental – and we look forward to continued success in helping dental offices schedule more new patients and realize more profit by capturing marketing leads when they call. Are your practice numbers not adding up? Are open holes in your schedule creating less production than planned causing overhead to seem overwhelming? What steps are you taking to correct these problems that eat into your profit? Dr. Farran continues on, explaining the value of knowing your numbers and making sure your team is also aware of these goals. When everyone knows the stats and is working towards a shared goal, the team will be more likely to create a schedule conducive to your production goals being met and creating the profit you are looking seeking. Dentistry is competitive. Why else would you spend resources seeking new patients via print and mail advertising, a great website with strong SEO, Google AdWords, social media, etc…? No matter the kind of marketing you are doing, you have to be able to schedule patients when they call. Any time you are not answering the phone during peak hours, it leaves the possibility that a new patient and their family will move on to the next office in their search results that does answer. UIC Dental answers all of the peak hours each week and beyond, eliminating lost marketing leads and increasing profit for your office by scheduling patients at the time they call. At UIC Dental, we schedule directly in your practice management system and follow your specific guidelines. Experienced in Dentrix, Eaglesoft, OpenDental, Curve Hero, Dolphin, MacPractice, EasyDental, SoftDent, XL Dent, and even a Google calendar, UIC Dental has yet to find a dental practice management software with which we cannot schedule. We also schedule based on the office’s defined protocol with chairs, providers, length of appointment, insurance, and services to be added to each appointment type. This means that if you have a specific provider and spot saved for high value doctor time, a new patient hygiene block saved, or even a limit on when emergency exams can be scheduled, we schedule patients based on your specific rules. The office’s daily goal and the ideal schedule will not be interrupted because you supplemented your availability, but more patients will be scheduled more efficiently. Rescheduled and cancelled appointments are an unfortunate fact of every dental schedule. With voicemail, the office has no ability to attempt to save the appointment when a patient leaves a message. UIC Dental offers the expertise and ability to attempt to save the appointment and keep it on the schedule as productive time. If there is a cancellation that was beyond saving, the office can know about it in real time instead of the next morning, allowing the ability to fill that slot via a ASAP list or adjust the time staff arrives if it is the first patient in the morning. More production on less overhead means more profit, allowing you and your team to feel good knowing they earned their raise this year! Every day, prospective patients are searching for dental practices. It could be a family new to town, a person who perhaps did not have insurance and now does with a new job, or even someone unhappy with their current office. Now more than ever, the first step for any search is Google, Bing, or some other search engine which is why SEO is so important for a dental practice. SEO stands for search engine optimization and is a system or process to enhance your office’s online search results from Google, Bing, Yahoo and other search engines. More simply, SEO makes sure search engines can find your website so new patients can find you when searching for a new dentist. SEO encompasses both the technical and creative elements required to improve rankings, drive traffic, and increase awareness. Mobile Internet use is exploding—it now exceeds desktop use, and the gap is widening rapidly. Google is working hard to promote local businesses in its search results and advertising. How do these changes help dental practices? Mobile Internet users are apt to use their smartphones to search for dentists, book appointments and request information—it’s fast, convenient and increasingly familiar. Dental practices, local in nature, get a bigger “bang for the buck” for investments in SEO (search engine optimization) and PPC (pay-per-click) advertising. Effective SEO is a huge part of the new patient process, but not the only piece of the puzzle. Once a patient finds your site, it needs to be convenient and clearly express the value of your office so they feel good about scheduling an appointment. Finally, once they decide to schedule, you need to make sure you do not miss that phone call. SEO is a great tool, but it can only get you so far in the new patient acquisition process. Offices need to make sure there is a process in place so these marketing leads are not lost. Looking for ways to increase your office’s availability and new patient production? Click here to contact us and learn how UIC Dental can help supplement your current phone answering process and grow new patient production. The value of the service is guaranteed as UIC Dental promises the service will create at least FOUR (4) times the cost in new patient production value. There are many avenues for development available to dental professionals. Continuing education courses, local or national conferences, or even going back to school for a college or graduate degree can provide significant personal growth and value to a practice. However, these development tools also might not fit into a busy schedule or office budget. This does not mean that you should ignore a worthwhile development process. 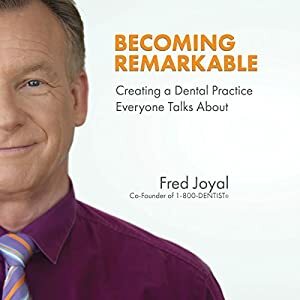 Below are four excellent sites that dental office professionals can use for on-demand and valuable professional development at your convenience. A comprehensive library of videos is available to subscribers and Front Office Rocks also hosts Live Events as one day programs to get your office the training it needs to help reach the ultimate in customer service status. UIC Dental highly recommends a live event for any practice looking to turn their front office staff into customer service rock stars. Schools like Yale University, MIT, Stanford, the University of California at Berkeley, and many more are all offering free online classes that you can audit and the website Lifehacker has compiled a listing of some popular classes which provides an in depth look and many different online classes. Higher learning has never been so affordable and convenient. These audiobooks not meeting your needs? There are thousands to choose from. Lynda.com lets you “learn new business, creative, & tech skills with expert-led online video tutorials– anytime, anywhere.” UIC Dental uses Lynda.com and the videos are informative, interesting, and cover a broad range of topics. For example, SEO (search engine optimization) and PPC (pay per click) are big topics of conversation in the dental community and Lynda has courses such as Google AdWords Essential Training, Online Marketing Fundamentals, SEO Fundamentals. Marketing not your thing? There are courses on Google Calendar, Microsoft Office, Communicating with your team, or even Word-of-mouth marketing. New users get a ten-day free trial, but there is also a better way. Many public libraries offer Lynda for free to library patrons. For example, locally in Kentucky, both the Louisville Free Public Library and Lexington Public library offer Lynda.com to its cardholders. Check your local library website to see if Lynda.com or similar sites are available to you.